The Personal Essay – Marc Schuster, etc. Glad you like it! 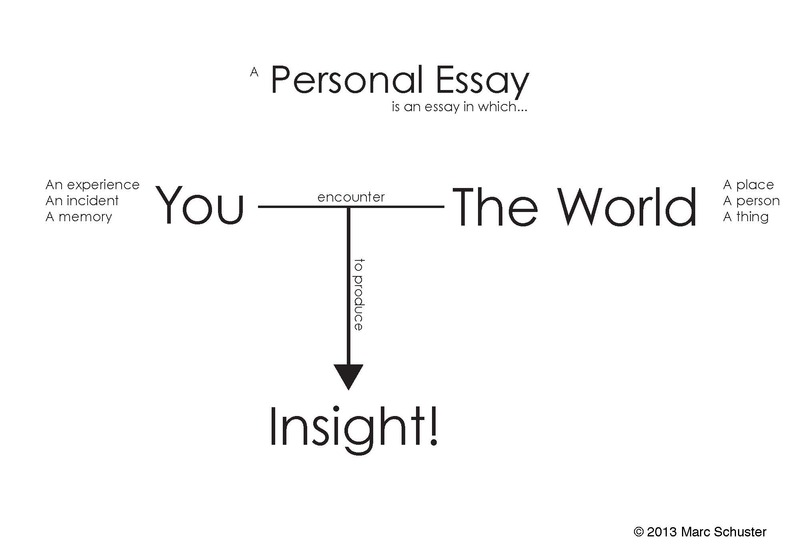 I used it as a handout for a talk I gave this morning to my wife’s creative writing students. I’m definitely putting this in my teaching handout file! Great diagram! I’m flattered! Glad you can use it! Marc, love your work, and have nominated you for the Liebster Blog Award: http://fpdorchak.wordpress.com/2013/02/18/spreading-the-love-a-liebster-blog-award/! The perfect diagram of what make each individual special and who we are today!